Johannesburg – When American multinational retail company Walmart made an offer to buy a 51% stake in Massmart, which owns Game, Builders, DionWired, Makro and Jumbo among others, the retail group saw the growth opportunities such an acquisition would present. However, competitors in the market felt differently and challenged the acquisition. The Competition Tribunal eventually granted formal approval in March 2012 with conditions. The transaction was legally effective in June 2011. In an interview with Fin24 last week, following the release of Massmart’s results for the six months ended June 30, CEO Guy Hayward shared how the acquisition had shaped the business. “They [Walmart] are one of the biggest and most efficient retailers. They have many different businesses around the world … We have managed to travel the world, visiting their sites and learnt from them,” he said. “We learnt from what they got right and what they got wrong,” explained Hayward. Some of the changes include a responsible sourcing programme, under Walmart’s guidance, which was established in 2012. This involved focussing on private label, direct import and exclusive brand products. Walmart also inspired the Ezemvelo Direct Farming Programme to develop emerging farmers, which no longer exists. Massmart has established a R200m Supplier Development Fund to develop small and medium enterprises, which are either existing or potential suppliers. Hayward said online offerings would just form part of the omni-channel offering to customers. Massmart has been offering online sales for three years, having first started with Makro and DionWired. “Online is just an extension of our bricks and mortar stores,” he said. Hayward also observed that of the purchases made online for Makro, customers choose to collect the product from the store, which means they are still coming to stores. According to the 2016 annual report, Massmart recognised the need to go online to stay engaged with consumers, and had made observations from Walmart to understand trends, best practices and competency gaps impacting strategic choices in this space. 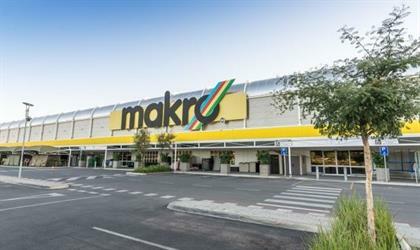 The interim results show that Makro’s total online sales were up 47.8%, DionWired’s online sales were up 23.7% and Builders which launched online sales in march 2017 saw online sales growth by 30.3%. Investment analyst at FNB Securities Thabiso Mamathuba weighed in on whether fears by local retailers of the Walmart acquisition were warranted. “The concern among local retailers was that by virtue of its relationship with Walmart, Massmart would favour international suppliers to local suppliers which would then force local retailers to match Massmart’s lower prices,” he explained. But over the past six years, Mamathuba said, these retailers have not really lost market share, which was mainly due to rand weakness over the period, which made imports more expensive for the local market demand. Mamathuba also explained that, although there have not been a lot of changes, Massmart has become more defensive and has focused on increasing its food and clothing categories, alongside its general merchandise offerings. According to the interim results, food retail contributed 58% of total South African sales. These food sales increased 8.3% for the period. “We have been rolling food out slowly and steadily rather than big bang,” Hayward told Fin24. Food is slowly becoming an important part of the business. Makro stores now have a food retail offering as well as Cambridge, which targets low income earners. Each new Game store to be opened will now include a food section, Hayward said. During the period, African sales suffered due to currency volatility. But Hayward told Fin24 the expansion strategy to Africa remained intact. Based on research commissioned a few years ago, the findings showed that economic growth in Africa projected in the next decade warranted Massmart to have a growing presence in the continent, he explained. Massmart plans to increase its growth in the continent by 17.1% in the next two years. “Due to the subdued economic growth in South Africa and high competition, it is not surprising that the group looks to expand further into other SSA (sub-Sahara Africa) markets,” Mamathuba said. Commenting on the interim results Hayward said that of course he hoped it was better, but given the difficult environment, the business managed to deliver a good performance.